A true feeling of home awaits you at The Pearl Manila Hotel as it offers the warmth of Filipino hospitality and the vibe of Old Manila. Standing close to the world-famous Manila Bay, this splendor in Ermita District, Manila, Philippines presents a pleasant retreat at the heart of it all.Right beside Emilio Aguinaldo College and just short minutes away from other educational institutions in this vibrant part of city, The Pearl Manila Hotel is the perfect second home for students who want to stay closer to schools and other places that matter. Meanwhile, local and foreign tourists and business travelers will surely appreciate staying in such a convenient address. We are close to several museums, amusement parks, historical sites, and entertainment spots. Conference venues and commercial centers are only a short drive away.Our well-appointed rooms and suites provide blissful comfort in a charming and cozy setting. 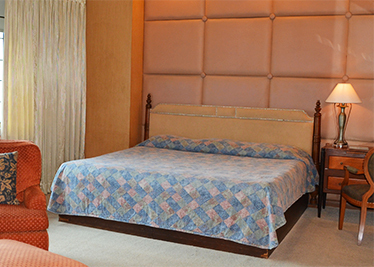 We also have facilities that guarantee convenience, relaxation, and leisure. 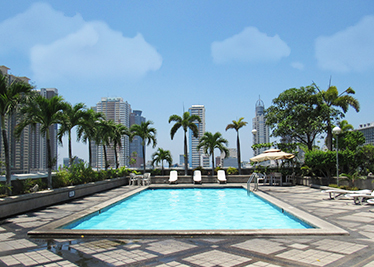 These include a restaurant, cafe, bar, ballroom, function rooms, and swimming pool.Being one of the most notable hotels in the metro, The Pearl Manila keeps a partnership with 2 institutions: the Yaman Lahi Foundation, Inc. – Emilio Aguinaldo College (YLFI-EAC) and the Medical Center Manila (ManilaMed). The YLFI-EAC offers quality education in medical, paramedical, and non-medical courses. Interns from Emilio Aguinaldo College get hands-on training at The Pearl Manila Hotel and ManilaMed. Meanwhile, ManilaMed partners with our hotel to provide tourists, both local and foreign, not only excellent medical services but also world-class service. Our hotel in Ermita, Manila brings you closer to the comforts of home. All the essential features are here, displayed in a cozy but refreshingly modern style. Each of our guestrooms has plush beds, air-conditioning, cable TV, a safe, NDD/IDD telephone, refrigerator, mini-bar, and electronic door lock system. Select accommodations present alluring views of the city. We always see to it that all your needs are attended to during your stay. We provide a set of leisure and business. Enjoy the use of our business center, gym, massage services, multilevel parking, and free Wi-Fi internet access at the lobby. Our amenities are complemented by our exceptional service and warm hospitality, allowing you to indulge in that incomparable feeling of home. Time is of the essence, whether you’re a student, a leisure traveler, or a businessman. This is why we are proud of our superb location – we are just short minutes away from places that matter, such as schools, government offices, hospitals, dining and shopping establishments, and historical attractions. You don’t have to go far to get to where you want to be. 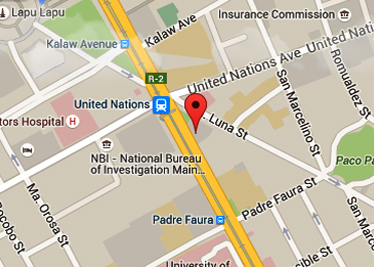 The hotel is easily accessible from all modes of transportation – jeepney, bus, cabs, and light railway transit.